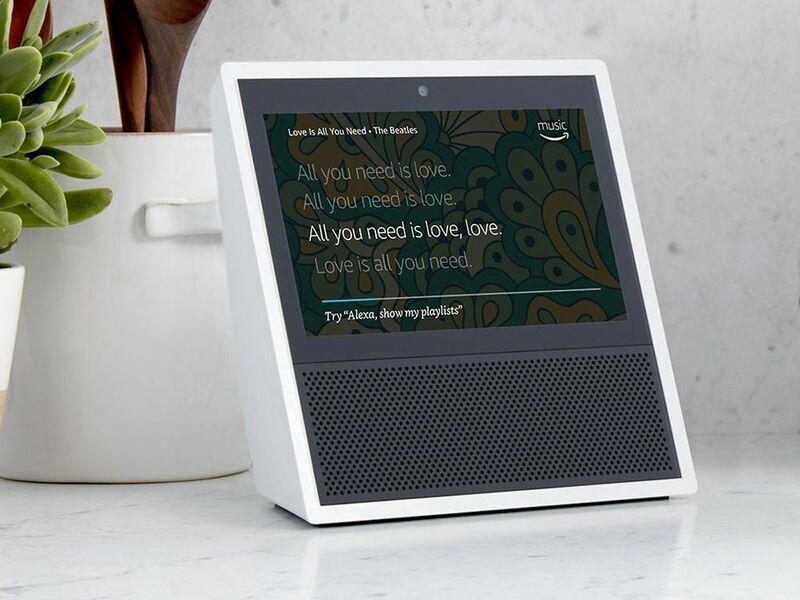 The e-commerce giant Amazon has shown that everything does not have to deal with stores, as it has recently introduced the new Amazon Echo Show. It is a new smart speaker powered by Alexa that includes a touch screen, to facilitate the interaction and its function as a communications center in the home, in this way to extend the interactions that until now could be done with Alexa. Video calls (or voice calls) can now be made to other people and a number of other functions are added to the wizard to take advantage of the screen. Amazon wants to make artificial intelligence reach all corners of the home without the user perceive it as such, Alexa is his secret weapon as it is more practical and focused on direct actions than Siri, Apple’s virtual assistant and Google Now. As in the original version, just say a word, “Alexa” to activate the virtual assistant only now has a screen and camera. The screen of the new Amazon Echo Show is 7 inches and is tactile, but what stands out is that there is a seamless integration without having to use hands. In this way the screen gives Alexa more possibilities as to their functions, on the screen we can watch YouTube videos, weather forecast, make shopping lists or tasks and also see the lyrics of a song on Amazon Music. We can do everything with the Amazon Echo Show, since we can use it only with our voice and Alexa will respond to it. In addition we can give you the configuration that we want and the Echo Show can obey only our tone of voice, can act as a surveillance camera monitor, control thermostats or lighting with intelligent light bulbs. As we already mentioned at the beginning the new speaker of Amazon allows to make video calls, so it integrates two cameras of 5 MP, also has something much more important, eight microphones with noise cancellation and two loudspeakers. This combination allows you to pick the right voice and play music in stereo, the Amazon Echo Show will be available in two colors, black and white. Amazon Echo Show, the virtual assistant that will revolutionize your home. Knowing all these characteristics will be very useful for the home, since we can be fully communicated with our loved ones and that is what Amazon wants to achieve. Through the Echo Show, Amazon gives us the Amazon Prime Video, which is an alternative use of Netflix, with an own production Amazon Prime Video gives us a wide catalog with possibilities to download series and movies, but more importantly we will not have That pay the use of this service, since when acquiring our Echo Show of Amazon we will have paid. The operating system with which it works is Fire Os, an Android adaptation developed by Amazon; We can already reserve this great virtual assistant, and will be available from June 28 worldwide. The Amazon Echo Show is available from the Amazon store for $ 229.